don’t press that button: look up – Hello Korea ! But what’s really on my mind is Eleana’s book, Adopted Territory! If I seem obsessed by it, it’s because I am! I occasionally skim KAD blogs, I have skimmed books on adoption only long enough to replace them on the shelf, and I get personal tales from every adoptee I talk to in person. And the academic scholarly tomes are sometimes too esoteric or dense, which I chafe at because I’m a generalist and a populist. And unlike most other adoptees I know, books on adoptee healing make me want to hurl. Some love (and some hate) Joe Soll, for instance. And others always reference Primal Wound by Verrier, but the snippets I’ve sampled do nothing for me. Books on things that I already feel or know intrinsically I find tiresome to read and I ultimately feel we need to take the plunge ourselves, as I’m deeply skeptical of psycho anything, and believe we need to investigate ourselves and write our own books about what works for us. I think the process of re-inventing the wheel is pretty important. I’ve only really read or been impressed by the intro to Outsiders Within. To be honest, the anthology of works inside didn’t pull my grinch-like cold heart either. Nor do most adoptee tales. In addition, I don’t appreciate being lead towards another person’s conclusions, nor do I always agree with them. That’s why I liked the intro to Outsiders Within so much. It was just an intelligent overview of the transracial adoption situation in a global framework, an adoption 101 if you will, and it was refreshingly unemotional, which is what I needed at the time. Eleana’s book is like that too. It is fair to all adoptees no matter their politics, rich with history, and very nuanced. It’s a very good piece of journalism, coupled with analytical tools that anthropologists employ. And as unemotional, rational, and observant as it is, I had to catch my breath at one point and hold back a tear. And that doesn’t happen to me much anymore. And the reason for this pang in my heart was just realizing I was a part of something huge. It was a blast of stiff wind that assaulted my senses, realizing the sheer scale of what we were subject to. As a mass experiment, arguably for good. I mean, I remember how excited I was when I read on The Adoption History Project‘s pages (hazah! yet one more writing I can back – that and the Evan B. Donaldson Adoption Institute research) how social workers questioned whether or not it was good to subject children to still further trauma forcing them to assimilate in another culture. Eleana’s book doesn’t summarize like that – she provides a huge amount of historical research: social worker quotes, news articles, etc. of contemporary criticisms, Holt’s pressing forward, children’s rights being ignored, families being separated coming to light, and gross cases of ugly adoptive parent entitlement rearing its ugly head even from the beginning. All the stuff you read about today? The same debates we fight about now were there right from the beginning and social workers (bless their hearts), journalists, and others who thought for more than ten seconds were raising their concerns. Only they were powerless to help, because the post-war fervor was too great. It was exciting to get my hands on more fact-based, historical research. 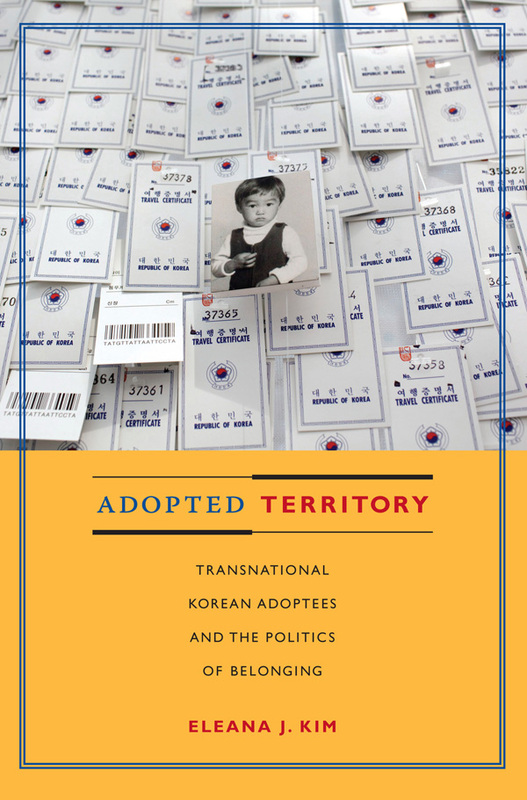 So that wave of recognition that I was part of something huge came about half-way through the book when I realized (owned) that the whole book was about us adoptees coming of age enough to empower ourselves and critic what had happened to us, from every angle imaginable. The sheer number of how many of us were deeply affected just hit home, and I no longer felt like such a lone voice: even though I am a late addition to the choir, we too often feel we are singing solo. Her book was, for me, the same as A collection of one was for many of the adoptees I talked to: both memorial and testament, which made the incomprehensible somehow very tangible. That this is real, that this chaos we live with is not some figment of our imagination, that we very much are part of something larger, and that we aren’t the only ones who suffered. And it is also somewhat awe inspiring. We can be proud of ourselves for weathering as well as we have under the circumstances, and the sobering reality that we are still living apart from those around us, and how difficult it is to create own identity in isolation. And Eleana’s book gives each and every one of our perspectives a voice. This book may be about us, but it is also very much for us. The most impressive part being how all-encompassing it was, yet at the same time verbalizing the individual adoptee perspective so well. So her choice of an image from A collection of one for her cover is, therefore, especially appropriate and meaningful to me. They are both doing/saying the same thing. Highly recommend reading this book, simply for the exercise of not looking at our navels, but outward at the world and our place in its history. And in doing so, I think we learn much more about ourselves and gain a sense of where we fit into that picture. And that, to me, is far more healing than any self-help book. It is incredibly difficult to “restructure” an identity based on adoption loss when you always have people telling you what your identity is/should be. I agree. I think that’s why so many adoptees who critic end up distancing themselves from those people. Besides, living with that kind of oppression is not sustainable, even if it is subtle. Perhaps the biological family can weather the child growing up better than the adoptive family, which is inherently insecure. But we have a right to grow up too. And if you’re talking about society, then we have to teach them that we don’t owe them anything…this identity reassignment was not our choice.